If one thing is clear, is that Rockstar’s latest Grand Theft Auto game is a phenomenal success. And aside from the fact it was recently revealed GTA V had reached the 90 million copies sold mark (dwarfing the earlier GTA: Sand Andreas, which “only” shifted 27.5 million copies), we now know that Rockstar’s latest game is also the most successful entertainment property of all time. This is according to Marketwatch (via Complex) which recently reported that GTA V has made almost $6 billion US dollars to date, which by all intents and purposes sure is one hell of a lot of money. Actually, taking into account the massive pile of cash Rockstar’s game has made to date, it would be more fitting to compare it to the top-grossing movies of all time, rather than to other blockbuster games. And maybe you’ll be surprised to know that no movie can beat GTA V when it comes to money made to date… This is because the top-grossing movies of all time don’t even come close to GTA V’s $6 billion, with the likes of Star Wars having grossed $3 billion to date, and James Cameron’s Avatar making $2.8 billion back in 2009. Also, while it can be argued that nobody saw this coming, the fact that GTA V had the best launch ever for a video game back in 2013 (and managed to break a Guinness World Record in the process) was an indicator of big things to come for Rockstar’s game. 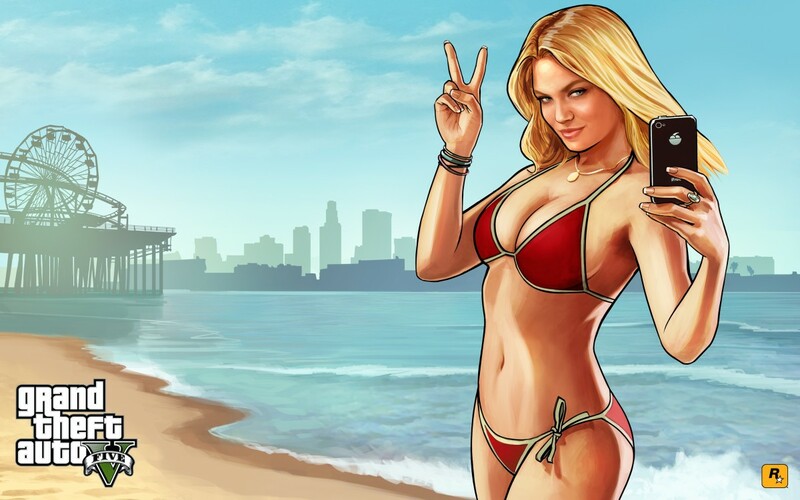 So, what could be the secret behind GTA V’s success? For a game to continue selling strongly after more than four years in the market is quite an achievement, and surely GTA V must be something special for it to continue to be a cash cow for Rockstar to this date. It surely helps this is arguably the best game in the series to date, but more likely the fact that GTA Online is wildly popular has kept the game relevant for so long. Also, the game shipped for both last-gen consoles, being a smash hit on both the PS3 and Xbox 360, and also for the new-gen PS4 and Xbox One. There is also a PC version of the game (fully-featured, and arguably the best of the lot) but those playing on PC only make 2 % of the user base according to MarketWatch, while PlayStation takes the lion share with more than 60 % of copies sold being on PS3 and PS4. Of course, some may not be delighted by the fact that GTA V has been such a success in the video game world. This is because Rockstar’s game has been criticized due to its violence (it even features an infamous torture scene) and the way women are portrayed in the game, even leading to the game being withdrawn from shelves in Australia. But still, and despite the criticism the game has received, it looks like there’s no stopping the GTA V juggernaut. It remains to be seen, though, whether Rockstar’s next game (the eagerly awaited Red Dead Redemption 2) will end up being a top-seller too, but for the time being it’s more than likely that GTA V will keep breaking sales records until the next big thing comes around.